Whether travelling by bike or car, there are plenty of places to stop and take in the natural beauty of the landscape. 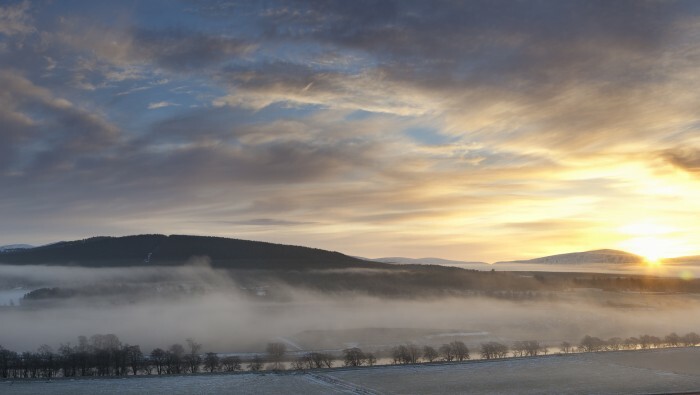 The Snow Roads Scenic Route is a 90 mile journey from Blairgowrie to Grantown-on-Spey traversing the highest public road in Britain and travelling through the outstanding landscapes of the eastern Cairngorms. 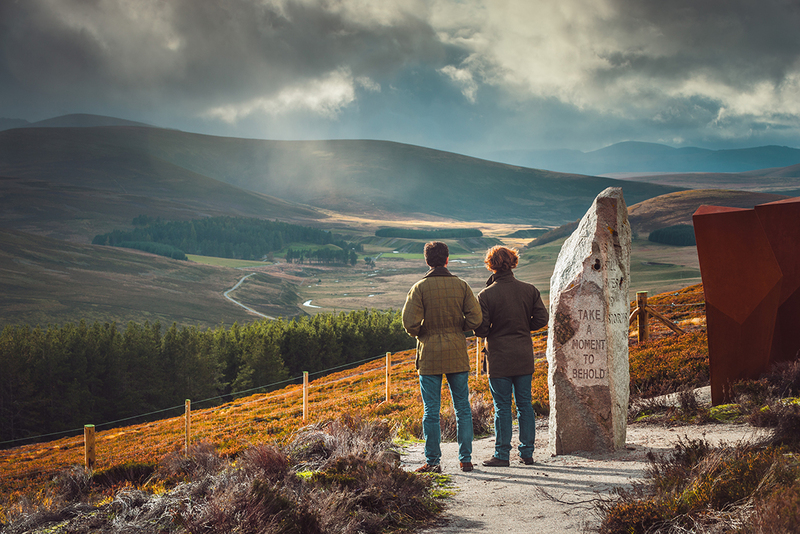 The road links the communities of Braemar, Ballater and Tomintoul with a range of natural and cultural attractions. Three stunning Scenic Route Installations provide new opportunities to stop and explore this wild and beautiful highland countryside. A Cairngorms photo-post is also located at each installation to allow you to capture changes in the landscape. The Snow Roads are slow roads. Take your time to enjoy the views, villages and attractions along the route. Steep hills, ‘blind’ summits and tight bends on the roads mean you’ll need to drive with care and courtesy. On narrow sections please use the passing places to allow others to continue on their way. Warning this route traverses the highest roads in Britain – it’s called the Snow Roads for good reason. Please check the weather forecast and follow any travel warnings. There is an 18 tonne weight restriction on Gairnsheil Bridge Travel the Snow Roads as the scenic way north or south. Link to Royal Deeside, Whisky Trail or the North Coast 500. Download the Snow Roads leaflet here to start planning your visit. Be sure to check out Visit Cairngorms to read all about the journey, along with 10 reasons why you should drive the Snow Roads along with recommended places to stop to explore and refuel. 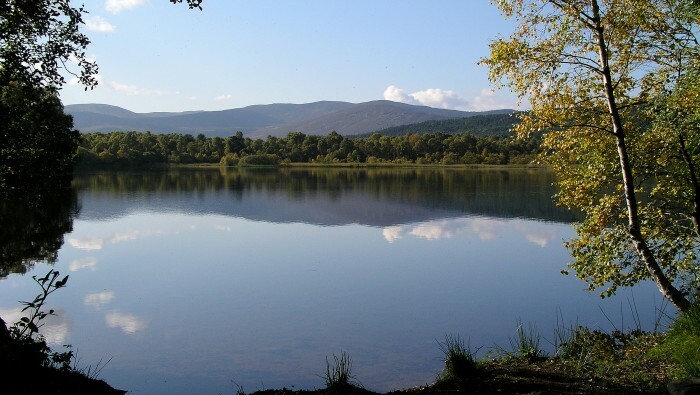 Interested in relocating to the Cairngorms?